BALTIMORE, MD--(Marketwired - Apr 8, 2015) - Dr. James E. Vogel's Baltimore plastic surgery practice offers a variety of procedures that can enhance the contours of the body or redistribute the patients' own fat for improved balance and a more symmetric figure. Dr. Vogel combines his surgical expertise with his artistic sensibilities to help patients address their cosmetic concerns while achieving their body contouring goals. Even most active and athletic men and women can benefit from procedures such as calf augmentation when diet and exercise routines have not delivered the results they have been working toward. "Achieving sculpted and defined lower legs can be particularly challenging," says Dr. Vogel. For patients with disproportionately thin lower legs, the benefits of calf augmentation can include toned calves, improved confidence when wearing shorts or swimsuits, and a more balanced overall figure, he explains. During the consultation process, the Baltimore plastic surgeon helps patients decide if calf augmentation can meet their expectations, and determines their candidacy for the procedure. Dr. Vogel says he uses fat transfer for calf augmentation, noting, "When a fat transfer is used for calf augmentation, we use your own fat from a donor site such as the abdomen or thighs and then gently inject the purified fat into the calf muscles." An additional benefit to the fat transfer method is that patients can often improve the contour of the donor site simultaneously -- areas such as the abdomen, love handles, or thighs. Dr. Vogel notes that the risks associated with this method of calf augmentation are low, though patients may sometimes require more than one treatment as the body usually absorbs a percentage of the injected fat. Dr. Vogel understands that each of his patients will have unique concerns and can customize each calf augmentation to align with his patients' expectations. After the procedure, Dr. Vogel's patients often report improved satisfaction with their physical appearance as well as a boost in their self-esteem. Dr. Vogel is a board-certified plastic surgeon who was trained at Johns Hopkins and leads his own private plastic surgery practice in Baltimore. 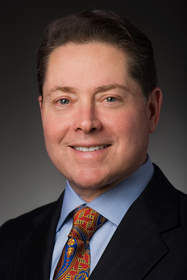 He currently serves as an Associate Professor at the Johns Hopkins School of Medicine in the Division of Plastic Surgery and specializes in cosmetic surgery of the face, breasts, and body, as well as hair restoration. In addition, Dr. Vogel is an active member of the Johns Hopkins Medical Society, the American Society of Plastic Surgeons, the American Society for Aesthetic Plastic Surgery, and the International Society of Hair Restoration Surgery. He is available for interview upon request.